If you have seasonal allergies, then you know that spring is often the worst time for your allergies. However, did you know that the way you spring clean can actually help reduce your spring allergies? 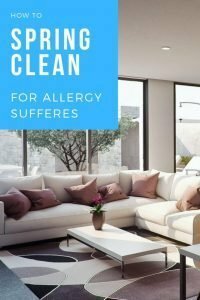 Here’s the best way to clean your home to help reduce your allergies. The first thing to do is to know what your allergens are. If you have indoor allergens such as pet hair, dust, and mold, then you will want to open your windows to air out the house. On the other hand, if you have outdoor allergens like grass or tree pollen, close your windows to keep them out. One of the most important things that you can do for you allergens is to make sure that they aren’t circulating in your air by cleaning your air filter. You should change your filter every 6-12 months, or closer to every 90 days if your allergies are severe. Change it when you’re spring cleaning and then set a phone reminder to do it next time too. Once your air filter is clean, work on removing the rest of the dust from your home, and make sure that you are actually removing it. Feather dusters often just push dust back into the air. A damp cloth or paper towel traps the dust instead so you can actually dispose of it. This deserves its own tip because people will often dust the surfaces they can see and then move on. While you are dusting, make sure that you get everything. Dust the ceiling fans, tops of bookcases and other tall furniture, the window sills, and other surfaces in your home. Once you’ve dusted the entire house, you might be wondering about the softer surfaces that aren’t as easy to dust, such as carpets and furniture. These surfaces also accumulate dust and other allergens. A professional cleaner will be able to deep clean these surfaces and remove trapped allergens from your carpets, rugs and furniture. Mold is a common household allergens and you might be surprised where mold might be hiding your home. Standing water is a breeding ground for mold. Check and make sure that nothing in your house is leaking or has standing water sitting around to help alleviate the problem. Be sure to check around and behind your appliances. Another common place for mold is your shower curtain. Because it’s wet and humid so often, mold often grows there. Most shower curtains can be washed in your washing machine and then hung back up to dry to remove mold. Be sure to reduce the humidity by running a fan in your bathroom when you shower to reduce mold in the future. One you have removed mold and dust throughout your home, you’re going to want to keep the house cool and dry to prevent more mold and dust build up. Try to keep the house at 50% relative humidity or lower. You might need a dehumidifier in more humid places, like bathrooms or basements. Everyone knows you should wash your bedding regularly, however sometimes life gets in the way and it doesn’t happen. However, this is even more important when you have allergies. Your bedding collects dust, skin flakes, and more, making them the perfect haven for dust mites. If you find that you have bad allergies at night, clean your mattress and pillows too to see if it helps. As you are spring cleaning the rest of your home, check the cleaning products that you are using. 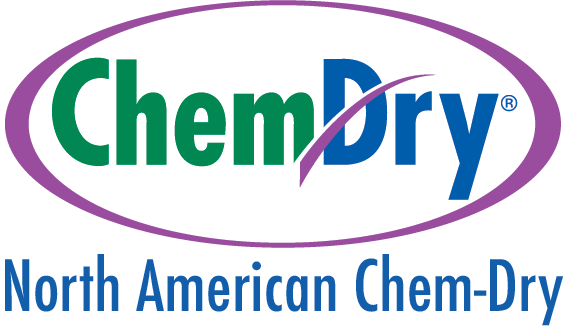 Harsh chemicals and strongly scented products can make your allergies worse. Consider trading them out for more natural cleaners like vinegar and baking soda. Spring cleaning your home for allergens isn’t a lot of work and can actually make a big difference in your allergy symptoms! If you’re spring cleaning the rest of your home, take a little extra time to spring clean for your allergies!